Swim England (at the time known as the ASA) South West became a region in September 2006. This was in line with the ASA restructuring the districts and aligning more closely to the Sport England regions. For the South West this meant a minimal change to our geographical boundaries. Previously the region was known as Western Counties Amateur Swimming Association which was formed in 1901. It had a proud history of producing talented athletes and Olympians across all disciplines. The District was run solely by volunteers until the introduction of professional staff through employment by the ASA centrally in 1994. Since this time, the working relationship and number of employees operating within the region has significantly grown. A Management Board leads the direction for the region supported by a team of professional staff who are employed by Swim England centrally. To date there have been four ASA President's from the South West Region. All four are pictured here together at the ASA Annual Council Meeting 2018. 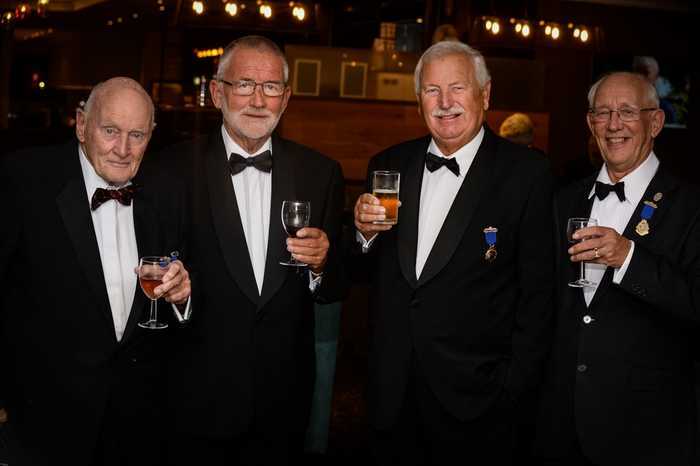 Left to right: Philip Jones (Gloucester) ASA President 1996, Dennis Toogood (Somerset) ASA President 2001, Robert Margetts (Devon) ASA President 2006/7 and John Bird (Devon) ASA President 2015/16.